The society was founded with the aims of preserving and publishing the records of the ancient county of Northamptonshire. Although the first of these functions has now passed to the County Record Office, the Society continues to publish and to promote the study of the county's history. The Northamptonshire Record Society was established by Miss Joan Wake in 1920 in an attempt to stem the wholesale loss of local historical records in the aftermath of the First World War. It was Miss Wake's unique enthusiasm and personal drive that saved thousands of documents and led to the formation, not only of the Society, but also of the County Record Office. The Society has grown from strength to strength and is widely recognised as one of the country's foremost local historical societies. It enters the third millennium with a total of almost 700 individual and corporate members. The Society acquired its first permanent home in 1930, at County Hall, Northampton, and in 1947 it moved to the historic setting of Sir Gyles Isham's house at Lamport. 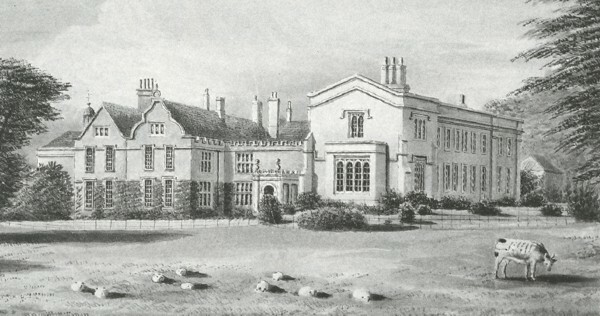 From 1958 it occupied the delightful and more accessible premises at Delapre Abbey. It was Miss Wake who had organised local support to save the ancient former Cluniac nunnery from demolition. In 1991 the Society moved together with the County Record Office to its present home at Wooton Hall Park, in what is one of the best-appointed local archive repositories in the country. The Society's facilities include administrative offices, a meeting room and a library of several thousand volumes on local and national history. In 1996 the Society marked the 75th Anniversary of its foundation with a memorable celebration at Courteenhall, the home of Sir Hereward Wake, President of the Society and nephew of Miss Joan Wake. To commemorate the event, the collection of Peter Tilleman's drawings for John Bridges' county history was published and presented to all members present and to the guest of honour, Lord Bingham, the Lord Chief Justice and Master of the Rolls.